AIM = American Image Marketing. Dennis Itami, founder and co-owner of The AIM Companies®, began his company with the ‘simple’ mission of providing quality, nutritious products that improve people’s lives. With so many people in the country suffering the effects of poor eating habits, few goals could be loftier – or more noble. It was decided not to market Barleygreen in the traditional way but to instead use the one-on-one power of network marketing. Based in Nampa, Idaho, AIM International has grown from a small handful of independent sales reps selling a single product to a natural health products and nutritional supplement company with 150 employees and over 100,000 independent distributors. These Members, who make up the company’s direct-sales force, are located in the United States, Canada, Australia, New Zealand, South Africa, and United Kingdom. Work is in progress to add additional countries. 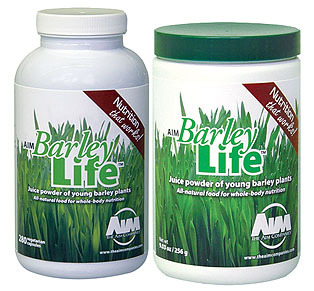 Today, AIM is one of the leading sellers of whole-food nutritional supplements and its flagship product, BarleyLife, is the best-selling product in its category in the world. Whole food juice concentrate bursting with nutrients and LIVE enzymes! Walking the talk of “improving the quality of people’s lives,” AIM is an active corporate citizen in its headquarters community and worldwide, donating to various charity organizations, and sponsoring the Operation Blessing truck which travels nationally delivering food and clothing to those in need. And many of its individual Members are active in civic and charitable groups within their communities. The company has gone through its growing pains, but has remained profitable since its founding. Now, with the market for nutritional supplements at $17 billion annually and expected to double in the next 10 years, and with a growing momentum not only for health-focused consumer products in general, but in AIM’s product line in particular, management is preparing itself for its next round of rapid growth, both domestically and overseas. And still the vision is too big for one lifetime. AIM celebrated its 30th anniversary in 2012. AIM’s executive team has over 45 years of combined experience in network marketing and while aggressive is committed to maintaining the fiscal stability of the company. The product line consists of only the highest quality products in unique formulations. AIM is debt free. In fact, AIM holds the highest Dun and Bradstreet rating possible. AIM has Marketing and Member Training departments dedicated to providing the finest training and marketing tools possible. AIM is now utilizing a unique webinar system so that Members can join live teleclasses on the internet. AIM recently added the AIM Academy…on line educational training to become a certified AIM Living Well Coach and it is FREE with membership! Interactive education right from your easy chair. Every AIM Member may buy directly from AIM. All commissions and bonuses are paid directly to our Members by AIM. Commissions are based on personal and group volumes. 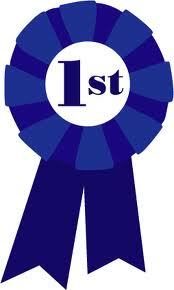 AIM dynamic Smart Start Bonus program pays a 10% bonus on the first order of every person you sponsor and 10% on their second order, provided you have a qualifying purchase in the same month. Permanent promotions coupled with 3 month accumulation of points for promotion purposes makes AIM a leader in this area. AIM’s bonus structure again focuses exclusively on the volume sold. AIM’s bonus structure is one of the most generous and realistic in the industry. The income potential in AIM is directly linked to personal initiative. It does take hard work to build a thriving AIM business, but hundreds of AIM Members have demonstrated that hard work does bring long-lasting financial rewards. The five Growth Phase steps on AIM’s Ladder of Opportunity make it possible for new Members to begin earning commissions very early in their AIM experience. The AIM business offers folks the opportunity to building a thriving business from the ground up. It is not a get rich quick scheme by any means. It does take consistant effort to build a thriving AIM business, it starts slow at first and then accelerates as you sponsor others who become willing to share the products with others. A wise man once wrote, “The hand of the diligent tends to plenty.” Hundreds of AIM Members have demonstrated that the hand of the diligent does bring long-lasting financial rewards and freedom in addition to the satisfaction of seeing the quality of others lives improve. Read some success stories here. Wholesale prices are just the beginning of what could be a great business opportunity. The products truly are outstanding and the AIM Wholesale Member support group is unprecedented. The AIM magazine “Partners Living Well” is included with your orders each month free of charge. You can sponsor Members building downline organizations in South Africa, Australia, New Zealand, Canada, USA, and United Kingdom. Upon becoming a Member you will be sent a “Getting Started With AIM” kit. This kit includes Welcome to AIM materials, a $10.00 off coupon (to use within 90 days on a phone-in order of $75.00 or more), tools booklet and other information. A full color product brochure with wholesale and retail pricing is also included.